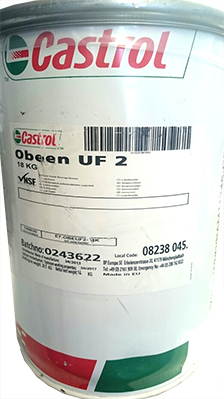 Optimol Obeen UF2 commonly known as Castrol Obeen UF2 is not available anymore, However we have in stock Castrol Obeen GR UF 1. We carry 18kg pails and can custom fill into cartridges on demand. We can supply this throughout Australia. Castrol SBX grease with graphite and molybdenum disulphide.